In Tot Circus 1, the kids get to have all of the circus fun. This is our first class for children to take independent of their parents. 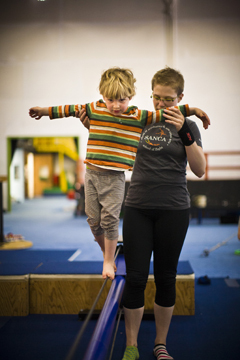 Students will focus on building circus skills in concert with basic developmental skills like dexterity, sharing, following directions, and taking turns.